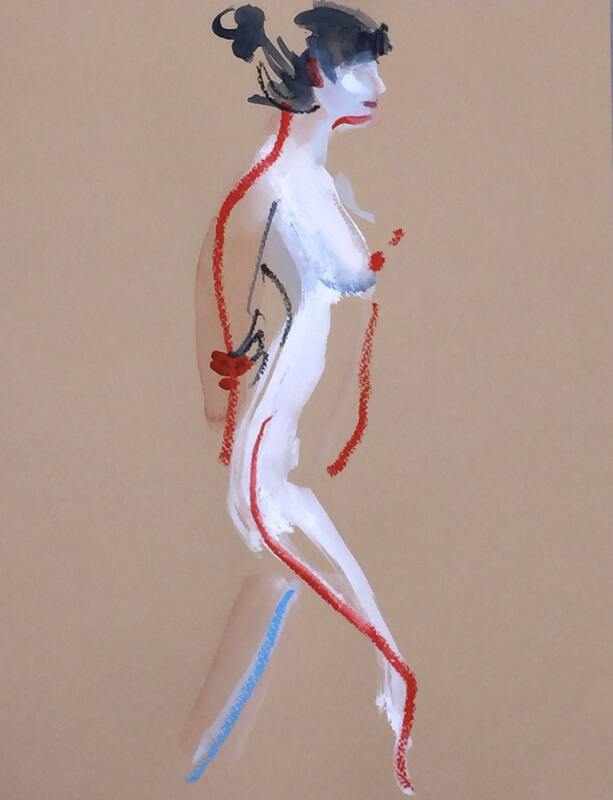 I like to paint the female figure in quick poses to capture the gesture and the feeling of the beauty that I see. I use swift colorful strokes and finish off with defining marks in graphite. It is one in a series of 10 and it looks good framed by itself or in a cluster with others. You can see the whole lot that I painted that day as the local studio session I attend weekly.